You may still be using your air conditioner a little bit here and there, since fall can certainly pull out unexpected heat waves. But in the coming weeks, we’ll be just about ready to turn off our AC system in favor of our heaters, until next spring. We do want to mention how important HVAC maintenance is, both for your heating system and your air conditioner. Heating system maintenance is typically recommended around this time of the year, while AC tune-ups are recommended in the spring, before you’ll need your system for the long term. But aside from maintenance, there are other things you can to do to care for your HVAC system, and prevent Snellville AC repair and heating repair. 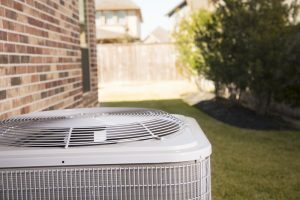 For instance, did you not that if you just shut off your AC and leave it until you need it again, it can accumulate damage over the winter that can jeopardize its functionality and efficiency? Our community might not get as chilly as other parts of the country this winter, but winterizing your AC system is still important. First, shut off your air conditioner. But we mean more than just turning if off from the thermostat. There’s a possibility that your thermostat can cause the AC to turn on briefly during a short warm spell, and this can lead to water from rain and ice thaw can get sucked into your outside unit. Turning your AC off at the source helps you avoid this, and prevents electrocution, as well. In order to shut off the air conditioner fully. You need to locate the outside circuit to the condenser unit, which is typically close to it and under a flip lid. Open that lid and switch it to “off.” Next, be sure the condenser unit is cleaned off. Also, clean around the unit, clearing the area around it of sticks, leaves, branches, and any other debris. In our area, though it doesn’t frequently get cold enough for really heavy snow, it’s a good idea to place a waterproof cover over your outside unit. You can purchase a specialty cover or simply use a tarp or sheet of waterproof plastic that’s big enough to completely cover the condenser. You’ll want to secure the cover with bungee cords so that it doesn’t blow away. An AC cover helps protect the condenser unit from accumulating moisture inside it, and being damages by any debris that winter storms may blow your way. Following the above mentioned steps is a great way to keep your air conditioner in good shape for when spring rolls around next year. Of course, none of this means you can skip maintenance, like we mentioned above. AC maintenance should be performed by a trained and experienced technician at least once a year. Contact Wall Heating & Air Conditioning, Inc. today for your cooling needs! If you need any assistance prepping your AC for the end of the season, we’re happy to help.